Your family deserves to ride in comfort. It's built on a Mercedes-Benz Sprinter 144 wheelbase, low top. 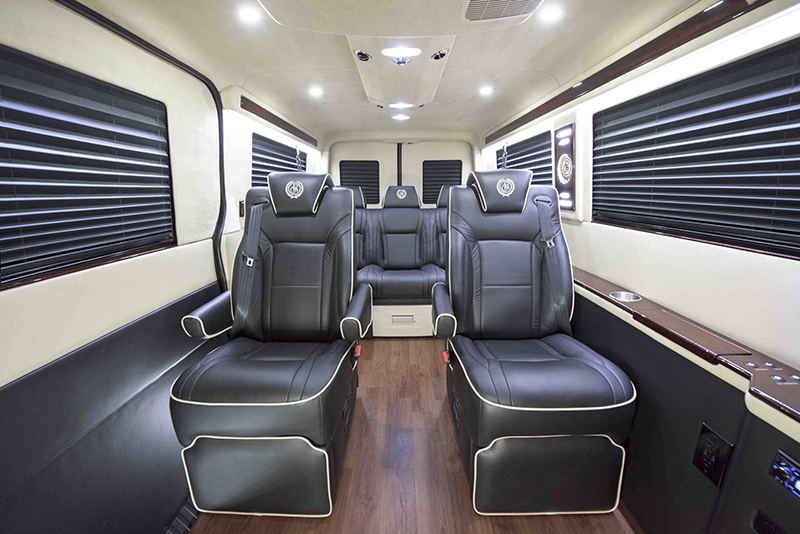 The Family traveler holds 7 passengers comfortably. You’ll be able to access the last row without climbing over seats like in an SUV. It’s easy to drive and easy to park. When you buy a Mercedes-Benz, you expect nothing short of the best, and with all of the luxury “bells & whistles”. 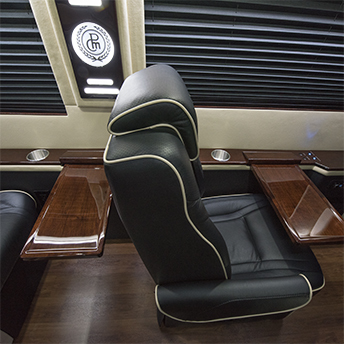 In our Prestige Motorcoach Family Traveler package, you’ll find nothing less than you would expect from Mercedes-Benz. Our custom suede walls to our soft Italian leathers, stitched to perfection… You’ll be proud to show off your new Family Traveler. 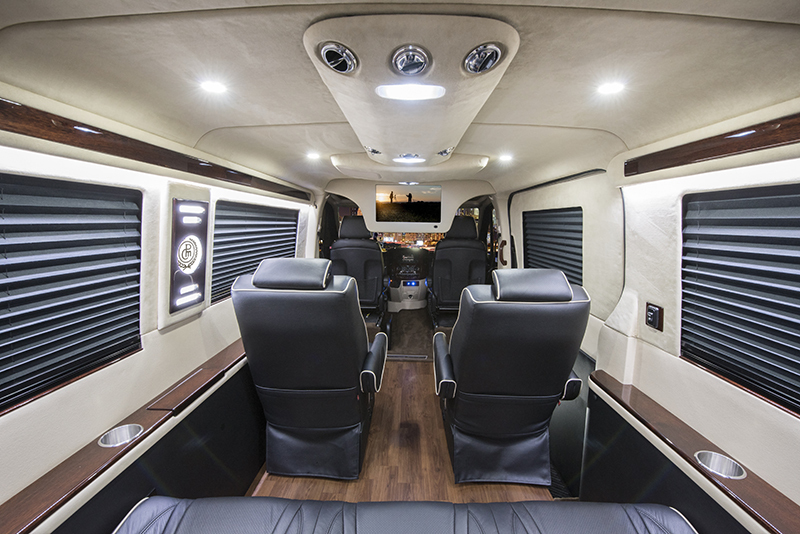 This Mercedes-Benz Sprinter van conversion is much more comfortable than a 7 passenger Sport Utility Vehicle. 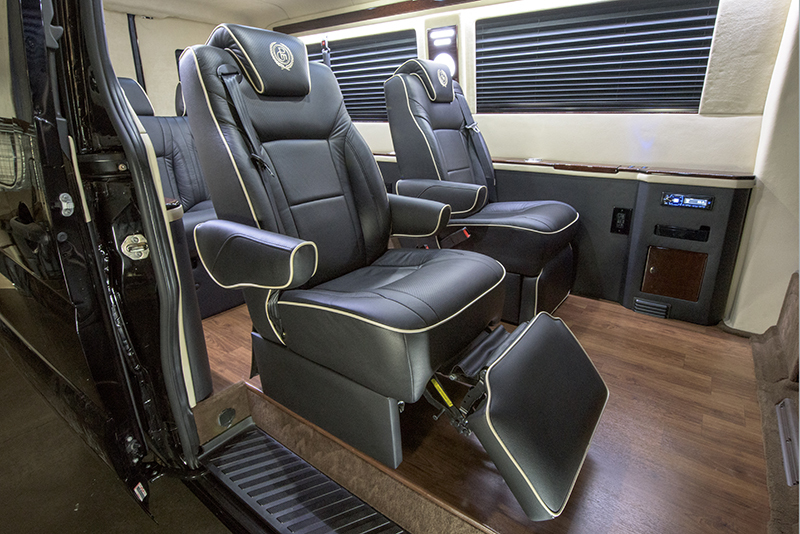 With two 6-way power High-Back Captain’s Chairs that have power footrests and an electric sofa by ERA Products, those far adventurous vacation trips will seam much more palatable. Keeping your kids entertained on those long rides is a must when you have a Mercedes-Benz Sprinter Family Traveler. They will have the luxury of choosing their own music station on a rear Alpine stereo, or watch their favorite HD movies on Blu-Ray. 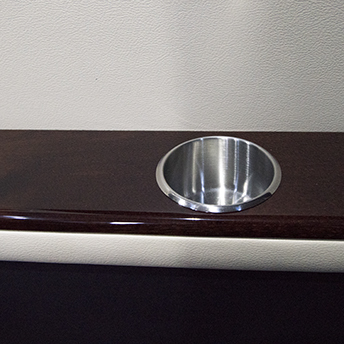 You’ll easily control your vehicle's lighting and electronics from these four switches in the top rail, next to the Captain’s chair. Crack open your laptop on these beautifully piano finished, real wood, airline-style tables. Now this is how your family should travel… In luxury!!! 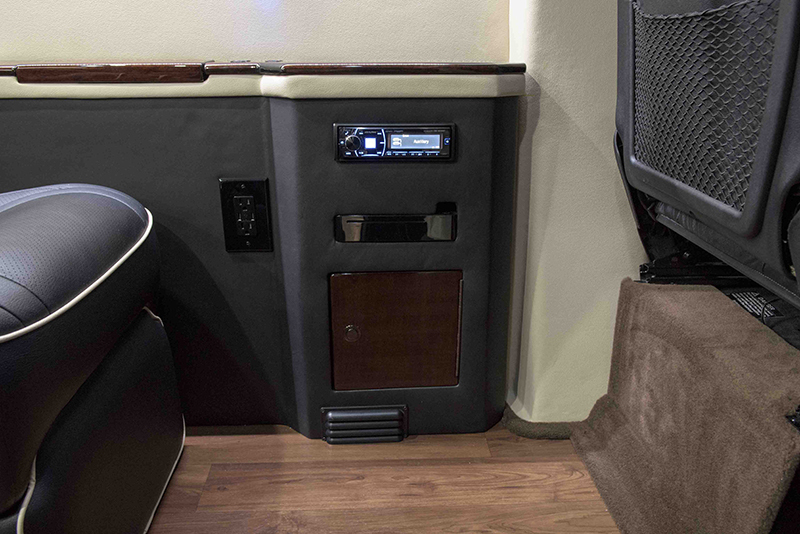 In this Prestige Motorcoach Sprinter conversion, even the cupholders are top-notch and sunk into a piano finish, real wood top rail. This pull-out electric refrigerator will keep your food from spoiling. 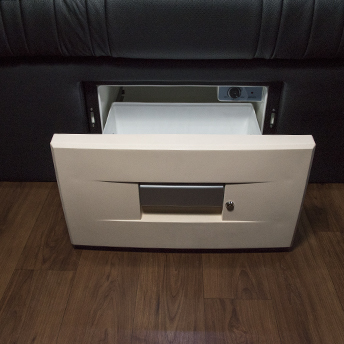 It is flush-mounted into the sofa kick board — completely out of the way, yet easy to access.